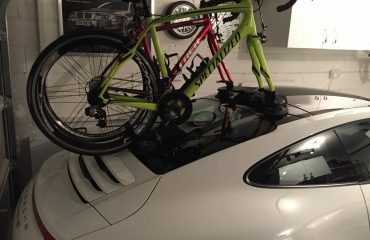 Nicole at Lexus of Brighton recently contacted us looking for a bike rack solution for the race-bred Lexus RC F. We knew immediately we had an almighty challenge in front of us. As the 2015 Lexus RC F had been recently released Nicole and the team from Lexus of Brighton obliged by giving us access to a vehicle to examine closely. 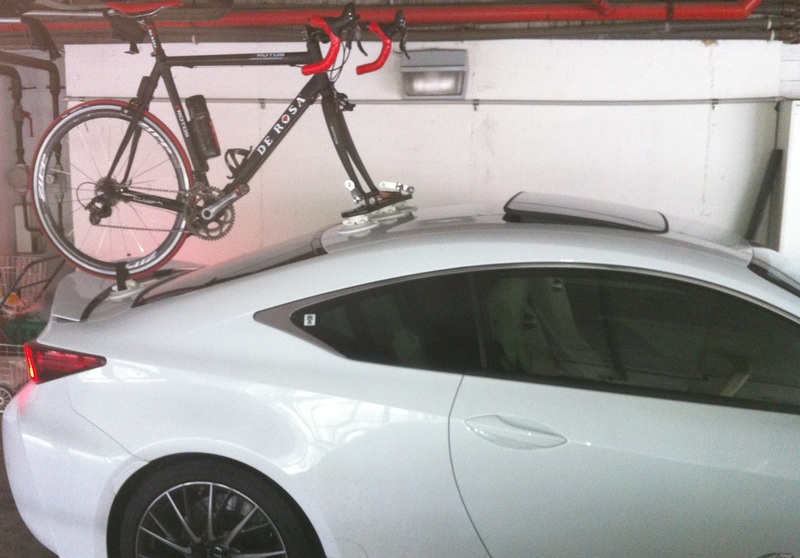 We quickly discovered that both the Talon and the Mini Bomber were perfect for the 2015 Lexus RC F bike rack. 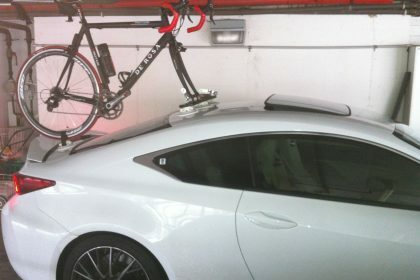 Paul, a long time customer of Lexus of Brighton was the first to request a bike rack solution for his new Lexus RC F. However this was no ordinary challenge. As Paul lives in a high-rise apartment with undercover parking we had to make sure there were no clearance issues. Working with a maximum height of approx 2 meters we also discovered Paul’s previous car could not accommodate this height restriction. After conducting several tests we headed over to Paul’s apartment. We quickly discovered the ideal location for the Lexus RC F where height is the major constraint. We chose to mount the SeaSucker Mini Bomber head unit directly in front of the roof mounted aerial. This also meant we could put the rear wheel strap directly in front of the retractable spoiler.This minimised the vertical profile of the Lexus RC F.
As the pictures show we had very little clearance to work with. With the bike rack installed we loaded one of Paul’s favourite road bikes and commenced the driving test. We got Paul to drive VERY SLOWLY down the three floors to the apartment exit. 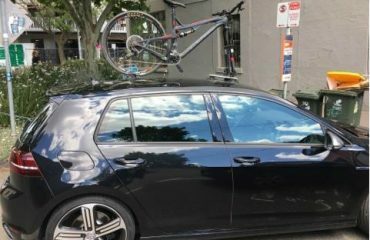 After a few tense moments, we were able to verify that Paul could indeed mount his bike using the SeaSucker Mini Bomber and drive up and down his apartment car park without any issues. 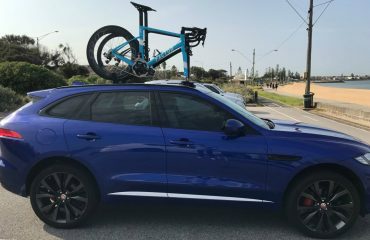 Once again the team at SeaSucker Down Under have conquered another super-car delivering a bike rack solution that met the customers brief. Best of all Paul can carry two bikes and can upgrade the SeaSucker Mini Bomber to carry a third bike. Buy online the SeaSucker Mini Bomber through our online store. NO DRILLS! NO SCREWS! NO PROBLEMS!! !